South Africa have gone back to their dominant ways at home and will look to capitalise against a dented Sri Lankan team when they clash in the third ODI today. South Africa are leaving no stone unturned in showing that the Test series defeat was nothing more than an aberration. Imran Tahir spun them out and the top-order exerted its might in the first ODI. Sri Lanka were a lot better with the ball in the second game, nipping out a strong start to send the home team from 131/1 to 251 all out. But they were also a lot worse with the bat, collapsing to 138 all out. South Africa have deliberately kept Dale Steyn out, in a bid to test their bench strength, and have dominated even without him. All their bowlers, save for pacer Wiaan Mulder, came to the fore to win them the second ODI. Quinton de Kock has been in impeccable form, as he often is in home ODIs, and Faf du Plessis made another fifty – he now has scored fifty or more in his last seven internationals. But South Africa’s inexperienced middle order was a worry at the start of the series, and it showed in Centurion, where they couldn’t keep up with the start provided at the top. Can their newer faces step up and play a reassuring hand as the team seeks to firm up spots for the ICC Men’s Cricket World Cup 2019? Sri Lanka’s problems begin right at the top. Opening partnerships of 13 and 11 so far have opened the gates early and set them up for collapse. 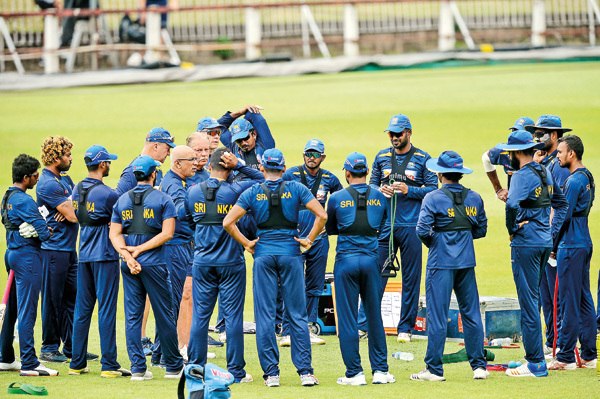 Sri Lanka replaced Upul Tharanga with newcomer Avishka Fernando in Centurion, but it didn’t count for much as Fernando perished, attempting too many shots too soon, after having begun brightly with a four and a six. Will they turn back to the experienced Tharanga as they chase their maiden win? And if they do, is it fair on the young Fernando to be dropped after just one game? Do they want to fall back on experience to win this series or look beyond and give enough game time to the younger lot ahead of the World Cup? Or will Niroshan Dickwella pay the price for three single-digit scores in his last four ODIs? These are important questions to be addressed. Thisara Perera hasn’t been at his best with the bat so far, and that hasn’t helped a Sri Lanka side that has relied on him heavily over the last few months. But while an on-song Perera can bruise bowling attacks around the world, Sri Lanka need to lose their dependence on him. That will take some of the younger players to come to the fore and prove why investing in them is the right direction to move in as the World Cup draws closer. Can in-form Rajans clinch 113th Big Match?